Jackpot Paradise Casino was established in 2012 and is under the management of Progress Play Limited Casinos. The casino has been powered by Microgaming and is under is licensed by Malta and The United Kingdom Gambling Commission. 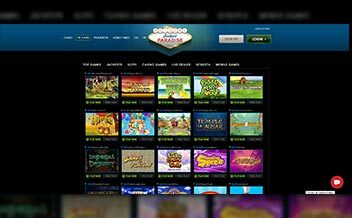 Jackpot Paradise offers a variety of casino games from slots to jackpot games to make players big winner. The casino also offers a variety of live dealer games to give players a more real casino experience while at home. The casino also offers live chat and email for customer support. Jackpot Paradise offers players a welcome bonus of up to 100% for a deposit of £200. The minimum amount of deposit required to trigger the bonus is £20 only and the maximum amount allowed to place is £5, but for players who pay through NetellerSkrill are allowed a maximum bet of £2.  The wagering requirement for the bonuses is 50x before making withdrawals after wins. Jackpot Paradise just as the name suggests offers players an opportunity to play jackpot games and get to make some money at the end of it. The jackpot games include Mega Moolah and Dark Night. The casino offers players a variety of slot games. They include Thunderstruck II, Terminator, Jurassic Park and Golden Era among others. The slot games have different kinds of themes to make the whole gaming experience more fun and exciting. The table games available at this casino have been designed to suit players’ preference. They include Vegas Strip Blackjack, Roulette, Double Bonus Poker and Premier Roulette among others. The table games have graphics to make the view more appealing to the players’ eyes while gaming. 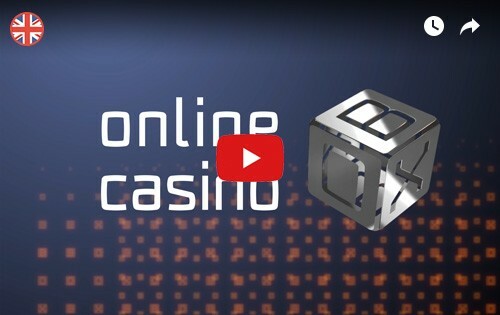 The casino offers players an opportunity to experience the actual casino experience without having to live their home. The live dealer games include Live Baccarat, Live Roulette, and Live Blackjack. Jackpot Paradise offers players a variety of casino games provided by Microgaming. 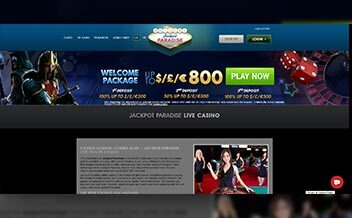 It has a user-friendly interface and the casino games have been designed in such a way that players are able to enjoy the experience since they load very fast. Belgium, Bulgaria, Croatia, Denmark, Estonia, Greece, Germany, France, Ireland, Israel, Romania, Spain, Slovenia, The United States, and Italy among others. The casino is accessible on a number of platforms. The mobile version of the casino may have a limited number of casino games but the graphics used are amazing. 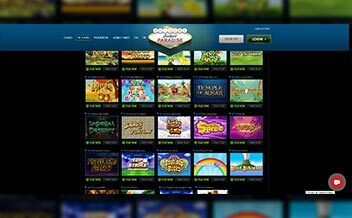 Players get to enjoy the casino games on web browsers like; Google Chrome, Mozilla Firefox, and Internet Explorer among others. 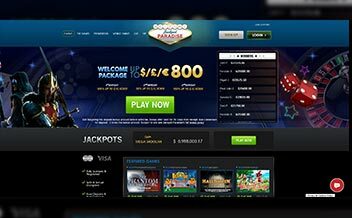 Jackpot Paradise has over six years provided players with a good gaming experience, bonuses and good customer support. The casino has had bad reviews when it come to their payout speed, the casino should consider working on the that.